Zero Carb Interview: Rustik Johnson | Eat Meat. Drink Water. This entry was posted in Interviews and tagged All Meat Diet, Autoimmune, Carnivore, Carnivory, Diet, Disease, Eskimos, Fat, Health, High Fat, Illness, Keto, Keto-Adapted, Ketogenic Diet, Ketosis, LCHF, Low Carb, Meat, MS, Multiple Sclerosis, Nutritional Ketosis, Obesity, Pain, Paleo, Paleolithic, Primal, Weight Loss, Zero Carb by esmeelafleur. Bookmark the permalink. Very interesting story. Thank you for sharing! How do you prepare the organs to eat? I eat liver, heart, and lamb kidneys and would like to try brains and other organs, but do not know how to prepare. Also, do you consume the blood from your lambs? Great Interview Rustik you are amazing and your story is awesome . Nice interview. Im glad he was able to alleviate his MS symptoms. Q How many hours do you work on this diet? Q What is your social life like? These are important metrics of an individual’s ability to thrive. 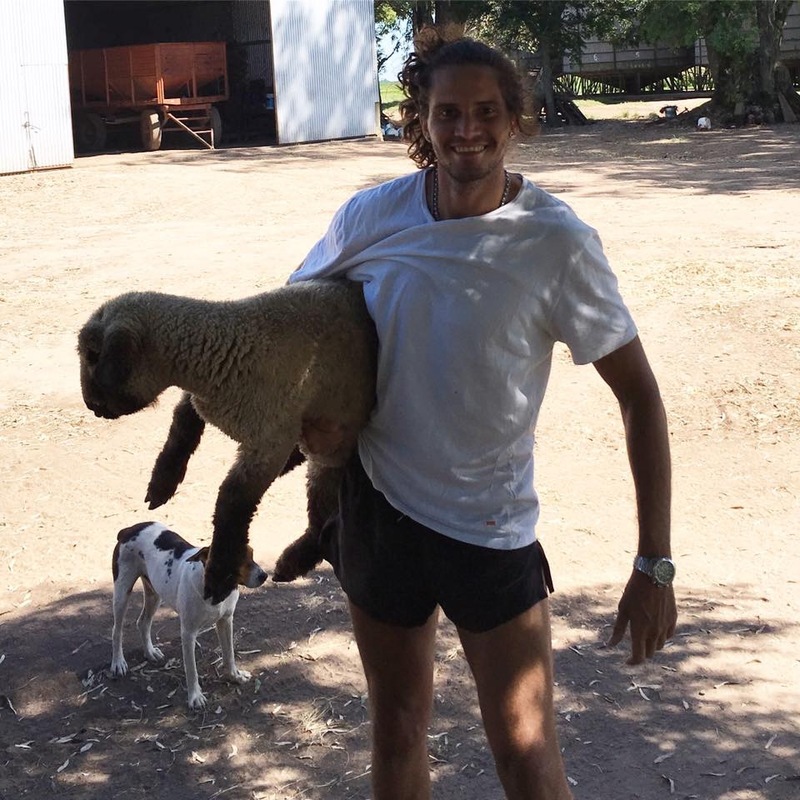 I do not like to disparage the above story, I think it is wonderful, but at the same time I wonder how a person butchers themselves three lambs a month and runs 10k everyday, in the modern world. I was searching for ways to help me improve my health as well..I’ve been vegetarian.then I developed insulin r3sistance and I gain weight everytime I ate carb..then I tried keto and that’s when I notice my midbelly fat just disappeared. ..I was always afraid of eating meat due to so many doctors and health people saying it’s badm.until I see your result..your and inspiration. .thanks for sharing ur life..
And what is the problem with the three lambs? 😂… i dont understand…. Three lambs is not the problem, but quite a lot of labour and time I imagine. I’m glad it works for you, but many might find the intensity of sustaining your lifestyle interfered with their work and social life. That’s not the case for you, great to have free time. 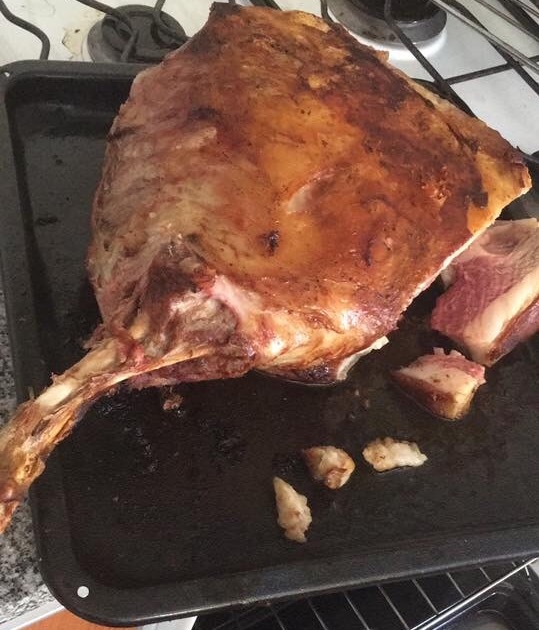 I am not “zero-carb” (there is no such thing because eating that great amount of meat would mean some of the excess would convert to glucose and any that wasn’t burned off would be stored as fat) I have been on a keto-genic diet (high fat, moderate protein and less than 50 grams of carbs from spinach, broccoli etc. – no grain or starches and 100 percent fat from butter. cream. pasture raised only also eggs. I am 5’9″ 153 pounds. I will be 68 in April and my fitness has never been better. I also intermittent fast 12-18 hours every other day. However I do applaud your commitment and austerity Rustik. Continued good fortune to you. If you read my page https://zerocarbzen.com/zero-carb/ you will see the definition of a “zero carb” diet. Zero carb is a bit of a misnomer, but we use it because it has stuck. What it really means is a zero plant foods diet. So, anything from an animal is considered to be part of a zero carb diet. A better and more accurate term is probably all-meat or carnivory, but not many people from the low carb or ketogenic world would find us if we called it that. Congratulations on your own success! Ok …. yes perhaps all that protein converts in glucose and stops the ketosis… maybe yes or maybe no…. i don’t know … but i don’t care… the important thing for me is the extreme health! And that i feel like a kid… i think that my next step is to eat less…. but perhaps the dry fast helps the ketosis start faster…. I think that staying in dry fast and doing exercise causes the ketosis start extra fast… so the 6 lb of meat (part of which is bones I don’t eat) every 48 hours perhaps doesn’t cause a problem to the ketosis…. but i repeat i don’t care…. the most important thing here is extreme health and how antinutrients of vegetables makes a bad health in people with bad illness like autoinmune problems such as Multiple Sclerosis like I had. It is a common misconception among low carb people that “excess” protein gets converted to glucose. The body is quite capable of burning amino acids for energy directly, without converting to glucose first. If you look into it you will find that in order to manufacture glucose from amino acids, they are first converted to pyruvate, then the pyruvate is converted to glucose. On the other hand, when you burn glucose, the by-product of the first stage of combustion is pyruvate, the pyruvate then gets burned in the second stage, and so on through all 20 stages until you get to ATP. So if you want to burn protein for energy, you convert it to pyruvate – then you burn the pyruvate. Why would you convert the pyruvate to glucose (which is going “uphill” and TAKES energy) only to immediately turn round and burn the glucose, with pyruvate as the first stage by-product? Gluconeogenesis is a process that CONSUMES energy, which is why it only occurs to the extent necessary to provide glucose for the brain, and to top up glycogen stores in the liver and muscles. More protein does not equal more gluconeogenesis. Why would your body waste energy on unnecessary gluconeogenesis when it can just burn the pyruvate directly? It is also worth noting only half of the amino acids in protein can be turned into glucose. The other half cannot be turned into glucose under ANY circumstances, no matter how desperate your brain is for glucose, as they don’t have the right structure. They get converted to fatty acids rather than pyruvate, then burned as fatty acids. As an aside, gluconeogenesis can also manufacture glucose from glycerol, which binds fat molecules together in solid fat, such as you would find on a steak or around your waist. You get 1 gram of glucose for every 10 grams of fat you consume. So in a fasting situation, if you burn 250 grams of body fat during the day (2250 calories) while out hunting, you will get the 25 grams of glucose you need to keep your brain running without having to strip protein from your muscles, which would weaken you and reduce your survival prospects. So you see in a hunter/gather type situation, you will be active enough on a fast day to get your glucose from the glycerol in fat, and gluconeogenesis will never need to switch to protein at all. Of course once you make the kill and gorge on meat, gluconeogenesis would switch to protein, using the generous amounts in the meat you have just eaten, and produce enough glucose to top up the glycogen stores in your muscle and liver. Once the glycogen was topped up, gluconeogenesis would slow to the trickle needed to supply the brain from glucose, using a mix of glycerol & protein as a substrate depending on the fat content of your diet. Excess protein gets burned for energy directly. Zero carb, raw beef, intermittent fasting. I eat excess calories 6 days per week in a 6 hour window, then don’t eat on the seventh day for a weekly 44 hour fast. Thank you so much for this thorough explanation. I am going to share it in our Facebook group Principia Carnivora. How long have you been on an all-meat diet? I’ve been eating an all-meat diet for 15 months, but I was high-fat low-carb for years before that, basically just meat and salad. I’ve been eating some raw meat for 18 months, all raw (with occasional exceptions) for 9 months, daily intermittent fasting for 9 months. I’ve been doing the weekly long fast for the last 5 months (skipped a couple of weeks). I’ve found the interviews on your blog very interesting, it’s always good to hear about people trying similar things and to know that your experience isn’t isolated. I’ve thought about maybe doing an interview with your blog at some stage in the future but I don’t feel that I’ve got all the bugs out of my routine yet. I’m comfortable eating meat raw, and the daily fasts are easy, but the weekly fast is still a bit of a challenge and it’s sometimes a struggle to eat enough during the week to maintain bodyweight – and then other times I get ravenously hungry and have an extra meal outside my six hour window. I’m thinking this happens when my body-fat gets super-low. I do seem to be gradually increasing the amount of meat and fat I can handle in my six-hour windows, so I’m thinking I will be in balance soon enough. Maybe towards the end of the year when I’m confident that my body has fully adapted to the weekly fast I’ll write about my experiences in detail. I don’t really want to be giving advice at the moment because I’m still working it out myself. Thank you! I would love to do an interview with you whenever you feel ready. Hi Rustik – What is the logic behind the dry fast. Would not primals have drunken water between meals? I want to know even cooked meats its healthy? Yes, cooked meat is fine. Many people eat a zero carb diet with only cooked meat. I find your way of eating fasinating and want to give it a try to resolve some of my own ongoing health problems. I was wondering how you transitioned into the diet? For example…Did you go straight into the routine or extend the dry fast slowly? Did you struggle to eat that much in one sitting at first? And what time do you have your eating and drinking window? For me is not important how i drink the water… the important is the dry fast…. Hello Rustik, the link for your blog does not work for me, where can I find your material please? Rustik, thanks for your story! So inspiring!! I too have several autoimmune conditions and health issues and am currently trying zero carb and alternate day dry fasting. i am wondering if you still are eating this way today? And if so, is it continuing to helping you stay well? Thank you! i reached a similar plan for myself as well. my issue though is with water quality and ive been lost in hydrating from fruit (being summer) – and all the EZ water thing. also im messing around with meat types, which doesnt bring consistent results. basically im adding too many variables. but saying grassfed is a must is pretty disturbing. have you tried fish + grain fed? maybe its the omega 3 balance ? 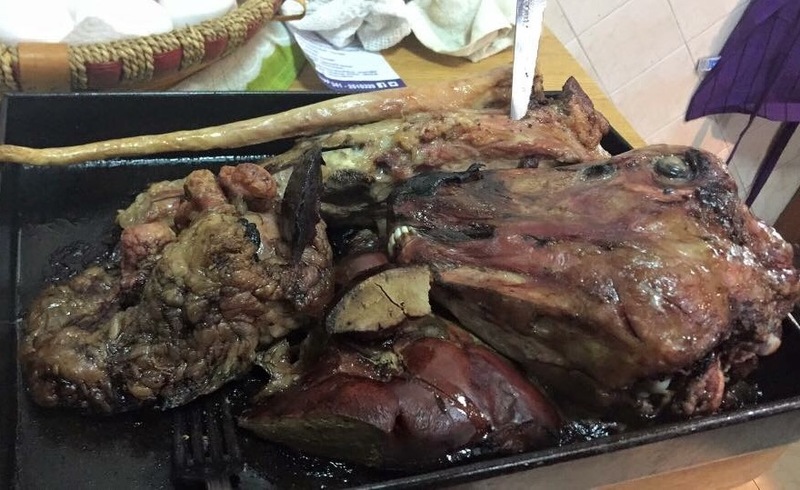 another observation, the raw meat – cooked meat part. ive had that conflict myself. tried a bit of raw, gonna try it marinated. but definitely wont overcook my meat. maybe its overkill with the AGEs maybe not, but im sticking to it for now. 2 minimize my intake. id even go to the thought that we might not need any food and water. just feed on the sun and air. that to set a high standard. but definitely our body can go into maintenance mode and consume probably x10 or more calories and function just fine. forgot to add, also eat 80% sheep (preffer older animals to young) adding rabbit most of the time, but other varities as well. dairy is a clear no no, although i see less bad from the goat ones. Hi Rustik – thanks for the inspiring story. I have a number of questions, maybe too many, but whatever insight you can provide would be greatly appreciated. Have you ever had periods of depression since starting? Prior to starting? Your meat intake has changed dramatically – from about 1.5kg a day (eaten as 3kg with bones every other day) – to 0.5kg a day…. is this a conscious effort to reduce intake, or just what your appetite produces? About how many lamb are you eating a month now? Where do you get the lamb? Are you butchering it yourself, and do you have to live rurally for this, or is this something you are doing while living in a city? Did this require you to move? Do you still dry fast at all? In hindsight, do you think it was optional for your health improvements, or indispensable? What is the status of your MS now? Still full remission? What was your two months of adaptation like? What were the symptoms of adaptation? Was your mood lower or depressed? 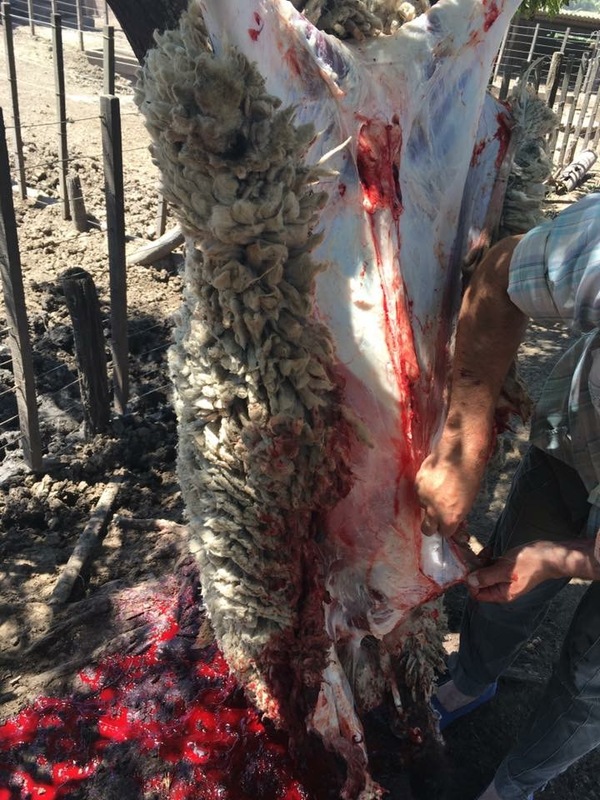 What are the fattiest parts of the lamb? 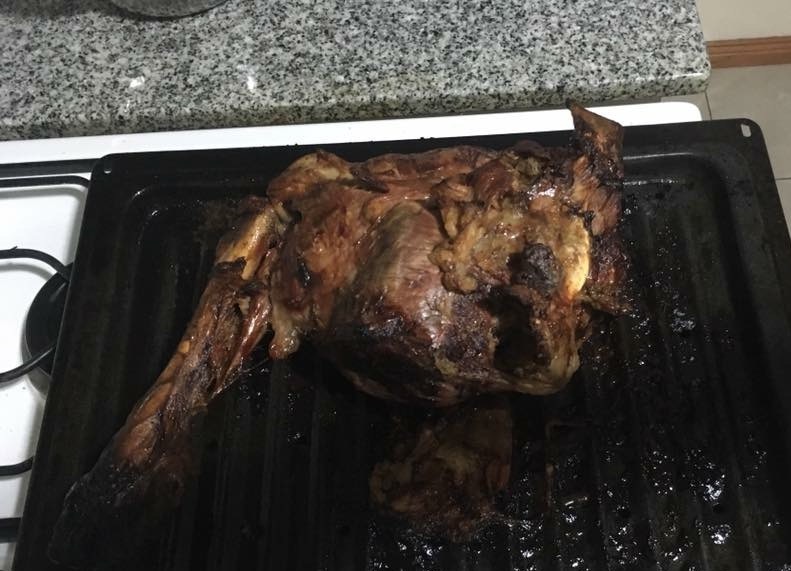 I tried eating shank, and it was too lean, making me think it wouldn’t provide sufficient fat – but I don’t have near term access to a whole lamb…. Hope this still finds you well, and thanks again! 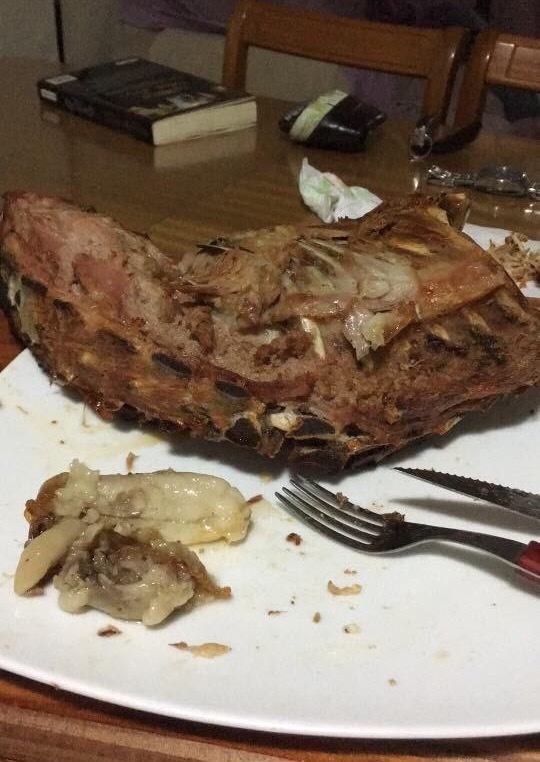 Eating all kinds of animals… drinking once a day and eating once a day feel like he man!!! Hi Rustik, thanks for your story. I was dx with MS 17 years ago. I was doing relatively fine but the last 2-3 years walking has been getting tough with spasticity and muscle weakness. I started carnivore in December. Notice mood benifits but not much for the MS. I’m thinking of adding dry fasting. Right now I do omad grass feed beef. Thoughts? This is really amazing, the more I read about a meat only diet the more excited I get… We’ve all been duped by BS! Go back to the basics! !